Head for the mountains in Alicante and you will be rewarded with the sight of green terraces and orchards bursting with grapes to make the local wines. We really are spoilt for choice when it comes to choosing wine from the Alicante region. For everyday drinking, there are many varieties from as little as €2. Or you can take plastic bottles up to Bodegas Xalo in the Jalon valley to fill with red wine from the barrel for about €1. However, for special occasions such as weddings, birthdays, Christmas or New Year, you may want something more mature with a bit of body. My Guide Alicante has been out and about in the local vineyards and shops to find a selection of wines and beers to savour for their flavour. One of the most popular vineyards is the co-operative Bodegas Xalo in Jalon. Coach parties turn up here for free samples and to buy wine, cava, olive oil and honey. There is a cheap red from the barrel, which is fine for sangria or tinto de verano – the Spanish version of sangria – but there are some great award-winning wines for about €5. The best wines to go for are the award-winning Bahia de Denia which is their best white wine; Duquesa de la Vall Crianza, an aromatic red; the Vall de Xalo Brut Nature cava; and the Vall de Xalo Moscatel, a sweet wine for after dinner. In the car park opposite the bodega, locals sell oranges, lemons, grapefruit and nispero (loquat). For about €2 you can pick up a carrier-bag full of sweet, juicy oranges to make your own Bucks Fizz or Agua de Valencia cocktails. Up the Sierra Bernia mountain from Jalon is the charming Maserof vineyard, where they produce their own organic wines where the grapes are traditionally trod barefoot. The 21st century has yet to reach Maserof, where you can also enjoy a pre-booked lunch by candlelight or visit the museum. A little further south is the Enrique Mendoza vineyard, which offers wine-tasting tours where you can find out more about the vines, production and taste some of the varieties on offer. The bodega, in Alfaz del Pi, near Benidorm, has a special open day in the Spring when you can also try before you buy. These are quality wines, which are reflected in the price although you can get some varieties for less than €10. A good dessert or after-dinner wine to look out for is the fondillon sweet wine, which was known simply as Alicante wine for many years. It is aged for at least 10 years in oak barrels and is very much like a good Port or Madeira. Further south, in Villena are two good vineyards - Bodegas Bernabe Navarro and the award-winning Bodegas Finca Lagunilla. 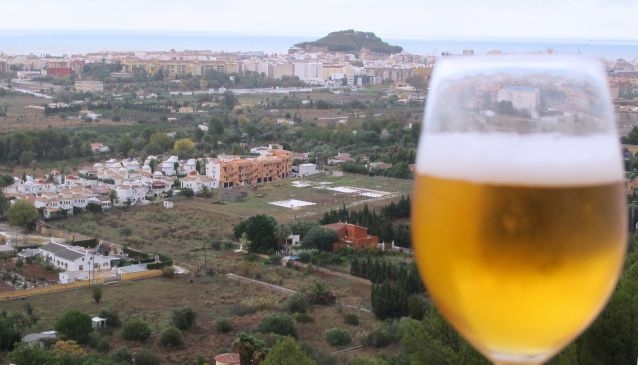 Alicante is also gaining a reputation for its quality craft beers. These are perfect for real-ale lovers who want a beer with a bit more bite than the draught lagers. 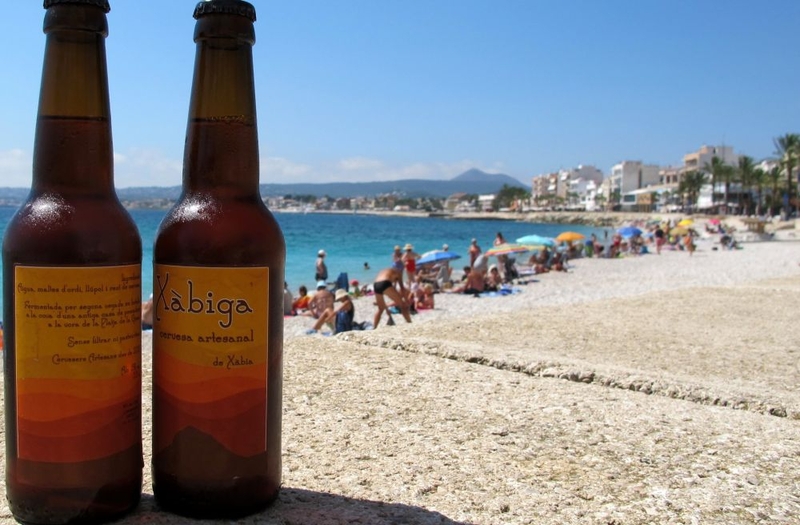 One popular ale, Xabiga, is brewed in a traditional fisherman’s cottage near the Playa La Grava beach in Javea. A little further north in Xativa are two craft breweries, which are definitely worth a visit. La Socarrada has an award-winning beer made with rosemary while another ale, Er Boqueron, is the only beer to use sea water. In the mountain town of Alcoy, Cervecera Alcoiana brews beer under the Spigha brand name. It produces a pale ale named Na Valora, which is named after one of Alcoy’s ancient fortifications, while the other is a brown ale, called Gurugu, after one of Alcoy’s main streets. The pretty beach resort of Altea is also home to Althaia Artesana brewery, which produces a, full-bodied Blonde Ale and a toasted Brown Ale.